As mentioned earlier, Acer is among the big name that has fired its salvo at Computex 2014 here in Taipei. In fact, the company did it over the weekend. 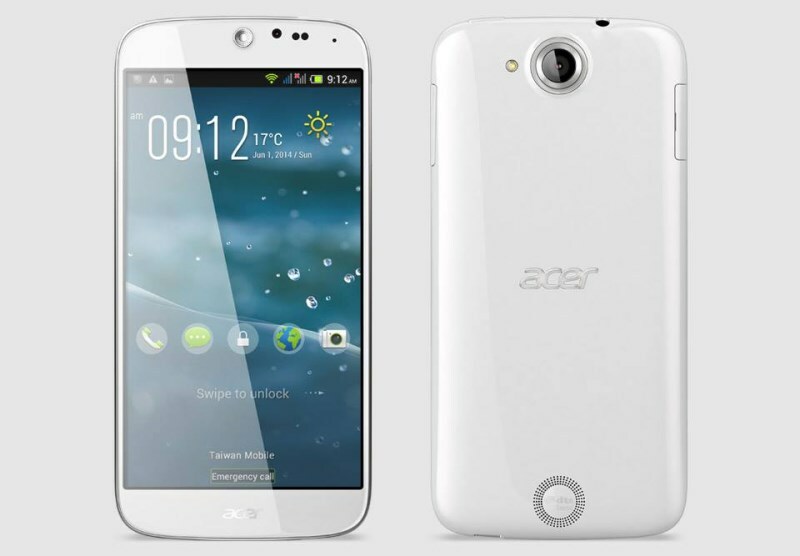 In addition to its first ever wearable device, the Liquid Leap, Acer has also officially unveiled the new Liquid Jade smartphone. In all honesty, the official announcement of both Liquid Jade and Liquid Leap have been anticipated for quite some time because both products were shown for the first time at Acer’s recent press event in New York last April which also saw the unveiling of its Switch 10 2-in-1 detachable laptop. The new smartphone is equipped with a 5-inch 720p IPS display within the device’s Zero Air Gap physical design and is also covered by Corning Gorilla Glass 3. It is powered by a 1.3GHz MediaTek MT6582 quad-core processor alongside 1GB of RAM and 8GB internal storage as well as support for Micro SD card of up to 32GB. There is also a 2100mAh battery within it and is pre-installed with Android 4.4 KitKat right from the factory. As for its camera, the Liquid Jade features a 13-megapixels autofocus camera with LED flash as its main offering while the selfie job is handled by a 2-megapixels front-facing camera. The Acer Liquid Jade will be meeting customers starting from Q3 2014 and in certain markets, it will accompanied by the Acer Liquid Leap smartband. Details on pricing and exact availability date for Malaysia is not yet known at the moment, unfortunately.